We’ve all skipped working out once or twice to save a hairstyle. Unfortunately, this is an all-too-common practice among women with textured hair. Believe me; I know the agony of sitting for hours in a salon chair only to watch my hairstyle lose its shape after five minutes on a treadmill. It feels like the money and time I spent just disappeared into thin air and took my sleek edges with it. It’s no wonder we steer clear of the gym after washday. Now, just because we all do it doesn’t mean we should keep doing it. Regular sweat sessions are key to keeping blood circulated throughout the body, including the head, where hair follicles need that moisture to grow. With that being said, there are ways to get your cardio in and look cute doing it. And who better to lead us in the right direction than Taliah Waajid? For over 25 years, she’s been a leading natural hair specialist and even created one of the first chemical-free product lines for textured hair. Ahead, she shares the easy tips and tricks that will stop you from putting hair ahead of health once and for all. If you’ll be performing floor exercises, lifting weights or sitting on a stationary bicycle, you should also invest in a nongreasy moisturizer, like Taliah Waajid’s Nutrient Rich Shine Butter, and a set of gloves to protect against bacteria. Lastly, if sweaty edges are the stuff of nightmares for you, a moisture-wicking headband or satin scarf will control perspiration and keep them from expanding as you move. Again, applying a leave-in conditioner, like the Protective Styles Strengthening Leave-In Conditioner, to wet or dry hair is essential before both low- and high-intensity workouts in addition to tucking the hair away into an updo or under a satin scarf. Apply the leave-in from roots to end, ensuring the product is distributed evenly. After that, you can apply edge control along the hairline, brush the hair around the outside perimeter of the head and secure with a headscarf. If you’re getting into a pool, use a swimming cap instead. “You can also use olive oil, Jamaican black castor oil or coconut oil to coat and prevent your hair from absorbing chlorine,” says Waajid. 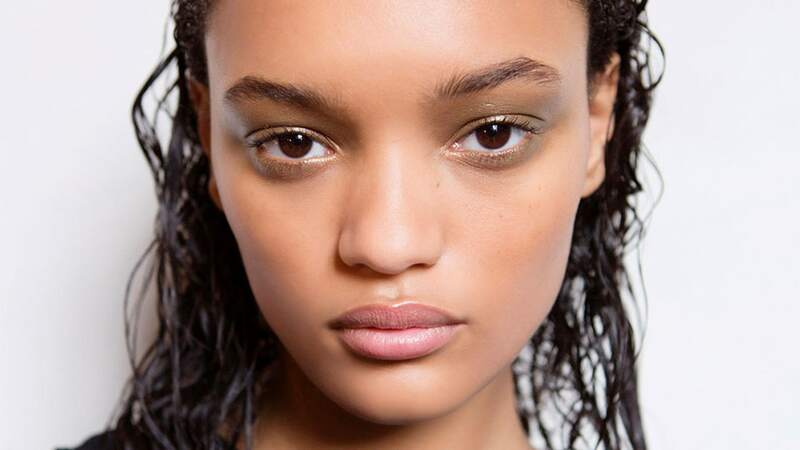 Contrary to popular belief, humidity doesn’t affect curly hair as much as straight hair. However, our roots are more susceptible to oil buildup, which means we should keep a shampoo on hand. How often you wash depends on the level of your workout and your hairstyle. “If you normally wet cleanse (shampoo) more than twice a week and engage in low-high intensity or water-based workouts, to recover your style, wet cleanse (shampoo) with a sulfate-free shampoo such as my Protective Styles Moisturizing Mint Shampoo, ” says Waajid. If you’re on the go and need a quicker recovery, use a co-wash instead. And when wearing protective styles like braids, twists or locs, treat your hair to a dry cleanser, like Waajid’s Protective Styles Bamboo, Avocado & Peppermint Dry Gel Shampoo, as well as a moisturizing or clarifying serum for the scalp. A dry shampoo is also ideal if you’re not washing your hair every week. All in all, there isn’t a laundry list of things you need to do to protect your curls. With a bottle of leave-in, a trusty headscarf and edge control, sacrificing workouts is a thing of the past.